As we cruise into the weekend, there are couple of deals in the DL Deals store that are on clearance with an extra 5% for Labor Day. The deals include the popular MMOVE Bluetooth earbuds, a 3-in-1 smartphone lens photography set, and a 2-in-1 extra long cable that works on both Android and iOS. 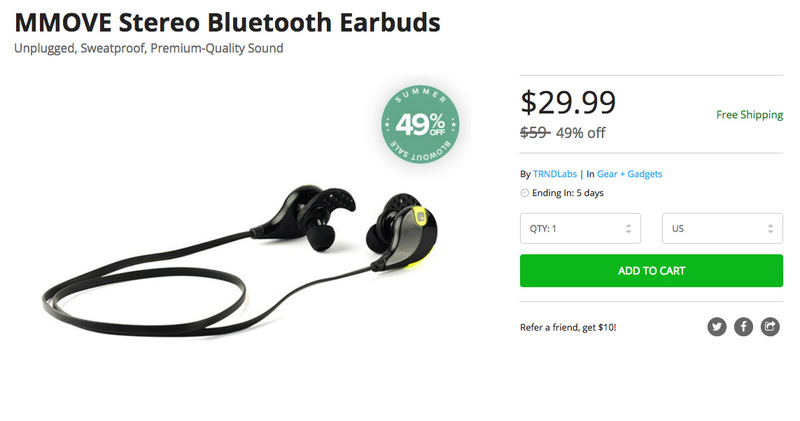 The MMOVE Bluetooth buds were featured by us back in June for $32 and have been quite popular with readers. They have since dropped to $29.99, with an extra 5% for the weekend. The 2-in-1 cable is as you expect, a big 6-foot cable that can be plugged into either Android or iOS devices that have USB or Lightning ports, respectively. The 3-in-1 photography set allows you to attach lens to your phone to take fisheye, macro, and wide-angle shots. All are solid accessories, but they all include rock bottom prices for the next few days.